Making their way to Milwaukee will be some of the top talent in the country at the 16U level. Featuring a number of established, high major prospects, as well as a good mix of stars still waiting to be discovered, the 2016 NY2LA Sports Swish N’ Dish is sure to be a crowd pleasure, featuring sophomore point guard Courtney Ramey, who is already being coveted by multiple power-five programs. Already off the board and committed to Ohio State, Goodwin is a crafty player with point and shooting guard skills. Goodwin can flat out score the basketball and does it a variety of ways. Able to catch and shoot, rise and fire off the dribble, or slip his way into the paint, Goodwin has all the tools offensively. A long lean and skilled lead guard with instincts, Haliburton continued to elevate his play with a solid year this high school season. He can create and score from all three levels and his best basketball lies ahead. Maybe the best shooter in the 2018 class, Herro is going to blow up sooner rather than later. An explosive scorer, Herro lights up the scoreboard with some incredible shooting. Herro has worked hard to round out his game, improving his quickness and athleticism on and off the ball. Even if defenses can stop him from getting open, Herro isn’t fazed by tight coverage. He holds early offers from Creighton, DePaul, Marquette, and Wisconsin among others. An athletic wing with bounce, Glass can finish in transition and score in half court sets in highlight reel fashion. He’s long, lean, and explosively athletic and he stands to really take a big leap forward this spring and summer. A skilled, athletic, and talented guard, Jacobs can elevate in half court sets and transition and he has the ability to create and knock down the jumper. A legitimate Division 1 caliber talent, Jacobs is coming into his own and he seems primed for a big spring and summer. One of the top surprises in the state of Wisconsin during the high school season, Listau had a big sophomore campaign, leading his team to the Division 1 state title game. The lefty is a competitor and leader for his team. 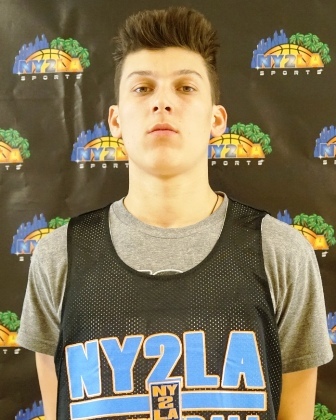 A good looking shooter from downtown and mid-range, Listau has a nice smooth stroke. He has early offers from Green Bay and Milwaukee. One of the most skilled players, if not the most skilled, McCabe is almost un-guardable. 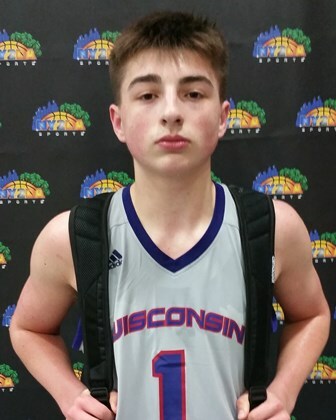 The flashy, but highly productive floor general is coming off a Division 1 state title, rolling through some of the top talent in Wisconsin to get it. Offensively, there’s not much McCabe can’t do. A deadly shooter from all areas of the floor, McCabe is an even better passer, seeing plays before they happen and delivering strikes to his teammates. Missouri, DePaul, and West Virginia have offered early. One of the top point guards in the country, Ramey has offers from Missouri, Creighton, Illinois, Ole Miss, Iowa, and Kansas State. Ramey has been touted since his middle school days and has only handled his success, striving to get better. 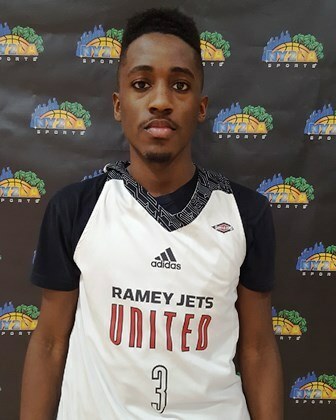 A tremendous floor general and leader, Ramey plays both ends of the floor and truly understands the role of a point guard. Sabin should have a chance to earn some offers over the travel season. A versatile, skilled forward, Sabin can do a little bit of everything. The 6-foot-8 sophomore handles the ball and can take slower forwards off the dribble. He’s also able to step out and shoot the ball, while also playing more of a point forward role with his ability to distribute from the high post or the top of the key. Jason Taylor – 2018 – C – Martin Bros.
A 6-fooot-11 sophomore, Taylor towers over his opponents. Holding an early offer from North Dakota, Taylor is a nice shot blocking presence. Able to move his feet surprisingly well for his size, particularly laterally, there’s plenty of optimism Taylor can apply that footwork to the offensive end. He also shows promise on that end, able to handle the ball on the perimeter. You can’t teach 7-foot-2 and Trapp might not be done growing either. A tower for the Playground Warriors, Trapp is still adjusting to his body, but does some nice things that are turning heads among high major coaches. Trapp, who holds offers from DePaul and Iowa, is coordinated and flashes some exciting post moves. He also does a nice job defensively, shutting down the paint without committing a ton of fouls. An instinctive and crafty floor general, Walton handles the ball well, he makes excellent decisions, and he attacks the rim well off the bounce. His range extends beyond the arc and he looks the part of a solid young floor general on the rise in Missouri. A prospect that came on last summer, Watson put together some impressive performances in big games. The sophomore wing has a killer instinct and a frame that oozes with potential. At 6-foot-4, 185-pounds, Watson is a difficult matchup for a lot of wings. He uses his strength and length to bully his way into the paint and power through contact. A skilled and athletic wing, Whitney could be one of the breakout stories of the spring. He has all the clay to mold into a high major impact caliber talent and he’s just scratching the surface of his potential. One to pay close attention to this weekend. A smooth, skilled prospect, Wieskamp is a terrific all-around prospect. So versatile, the Iowa commit can play almost anywhere on the floor and excel. Wieskamp is a high-IQ wing with a terrific shooting stroke. He’s not overly quick or athletic, but his length allows him to take advantage of just about any cover. Others To Watch: Chindeu Okanu (All-In/Y&R), Sam Wallin (Yanders Law), Monty Johal (Yanders Law), Garrett Freeman (Yanders Law), John Diener (Wisconsin Playground Warriors), Keshawn Justice (Wisconsin Playground Warriors), Jack Plumb (Wisconsin Playground Warriors), Jake James (IL Irish Elite), Matt Mizera (IL Irish Elite), Zachary Briggs (IL Irish Elite), Talen Horton-Tucker (Mac Irvin Fire), Joffari Brown (Mac Irvin Fire), Marquise Brown (Mac Irvin Fire), Carlos Curtis (Wisconsin United), Keontae White (Wisconsin United), Dexter Shouse (George Hill Rising Stars), Hunter Jackson (George Hill Rising Stars), Antivaan Cushinberry (George Hill Rising Stars), Kevin Easley (George Hill Rising Stars), A.J. Green (Iowa Barnstormers), San Ingoli (Iowa Barnstormers), Oumar Keita (Louisville Magic), Matt Mims (Martin Bros.), Xavier Castaneda (Meanstreets), Raekwon Drake (Meanstreets), Messiah Jones (Meanstreets), Gacoby Jones (Playground Elite), Greg Foster (Playground Elite), Mandella Deang (Playground Elite), Brett Erwin (Quad City Elite), Torrence Watson (Jets/Ramey United), Chase Adams (SYF Players), Zion Young (SYF Players), Mason Steffen (Wisconsin Swing), James Butler (Butler Elite), Foster Loyer (All-Ohio Red), Dylan Swingle (All-Ohio Red), Dorion Tisby (Louisville Magic), Jared Jurss (DTA Devin Harris Superstars), etc.